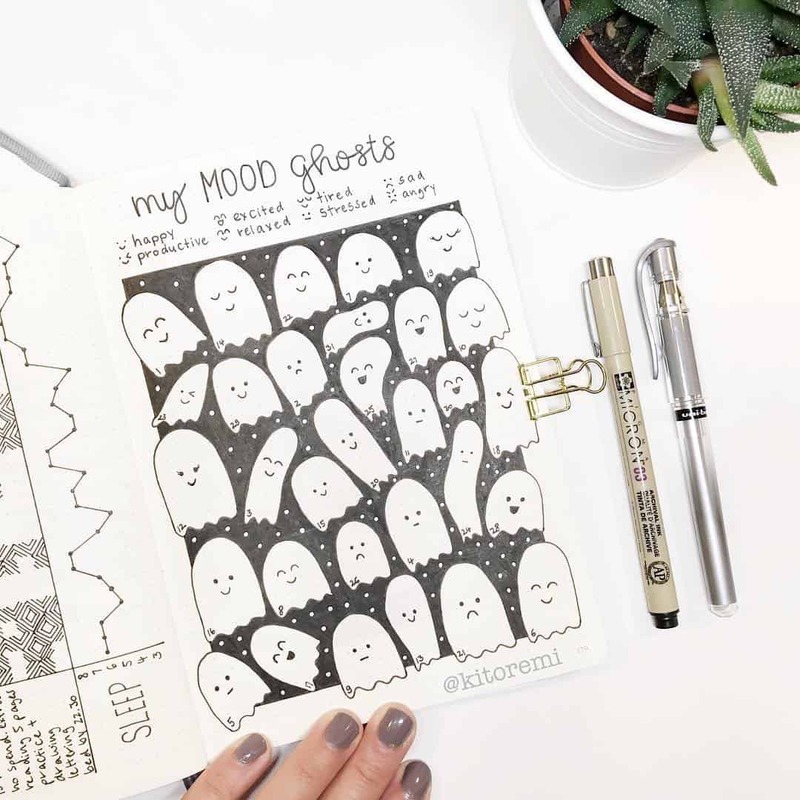 We’re on a mission to collect up all the best mood tracker bullet journal ideas we can find, because we think it’s one of the most important Bullet Journal tracker layouts you can use. 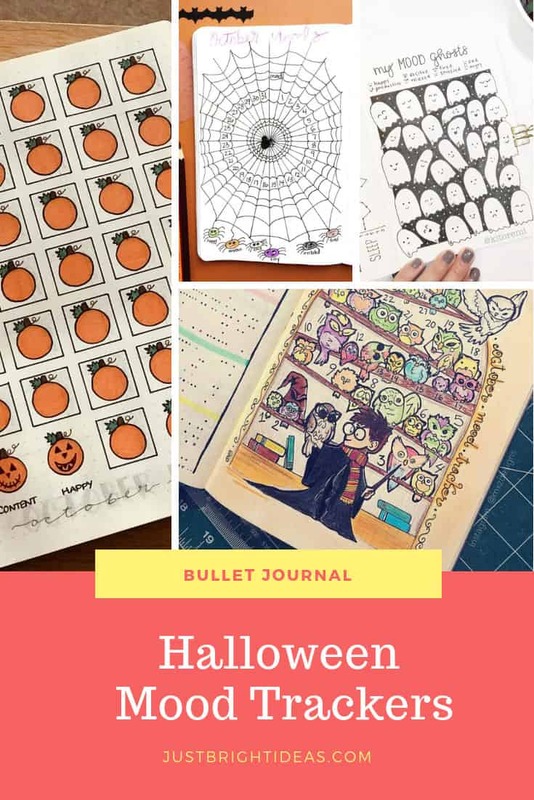 Today we’re all about the Halloween Mood Tracker and we’ve hunted down some wonderfully spooky October Bullet Journal mood tracker ideas to share with you! 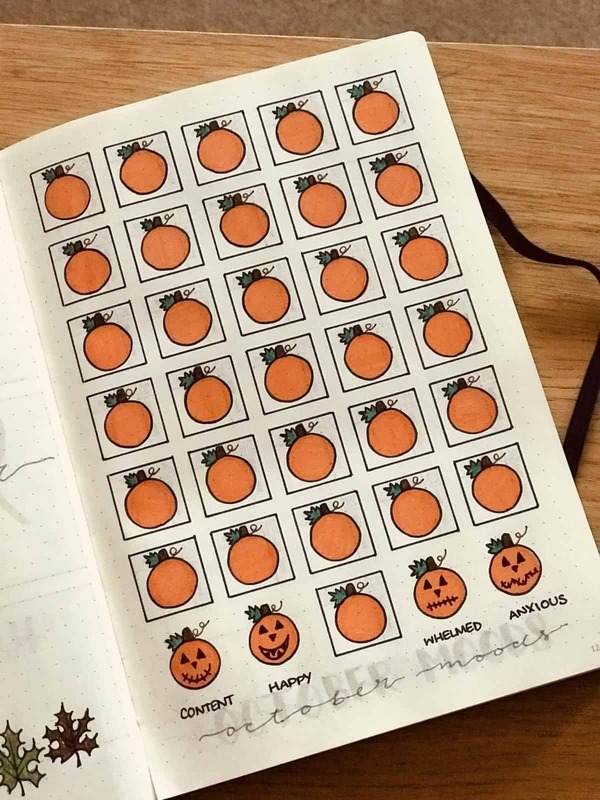 How’s this for a super spooky Halloween mood tracker? 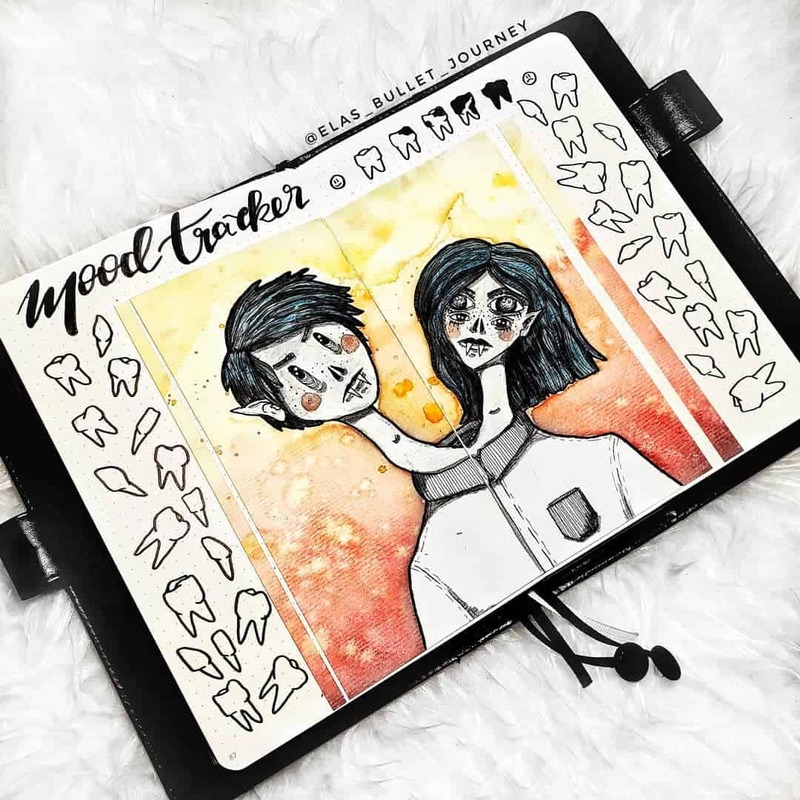 Dream up your own monster and then colour in the teeth to track your emotions during October! These mood ghosts are adorable! Who says that Halloween spreads have to be spooky? I love how rather than using colors this mood tracker uses faces to track your emotions. 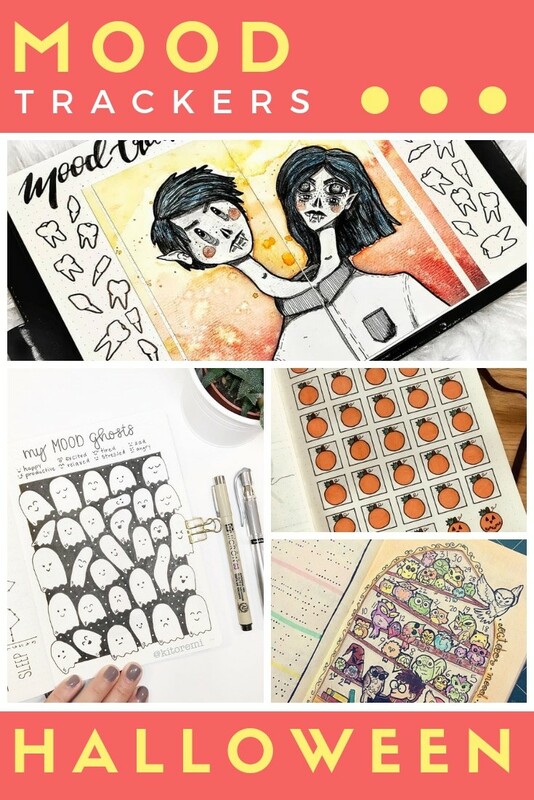 A few readers have asked where they can find bullet journal mood tracker printables and my favourite place to find them is Etsy. 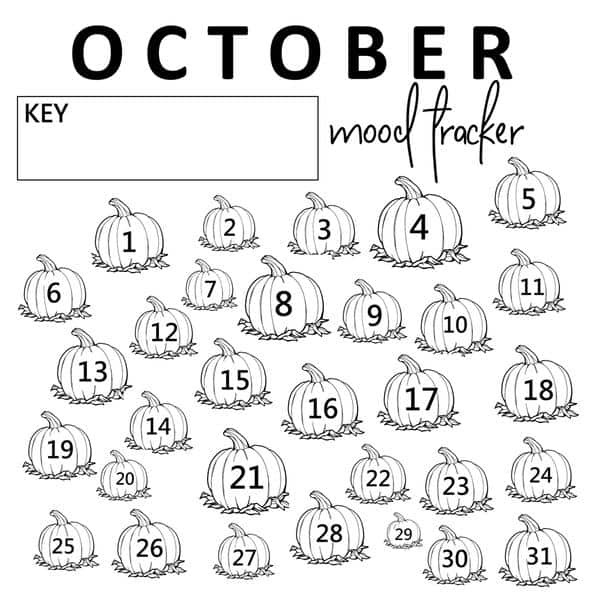 Like this October mood tracker that’s filled with candy! 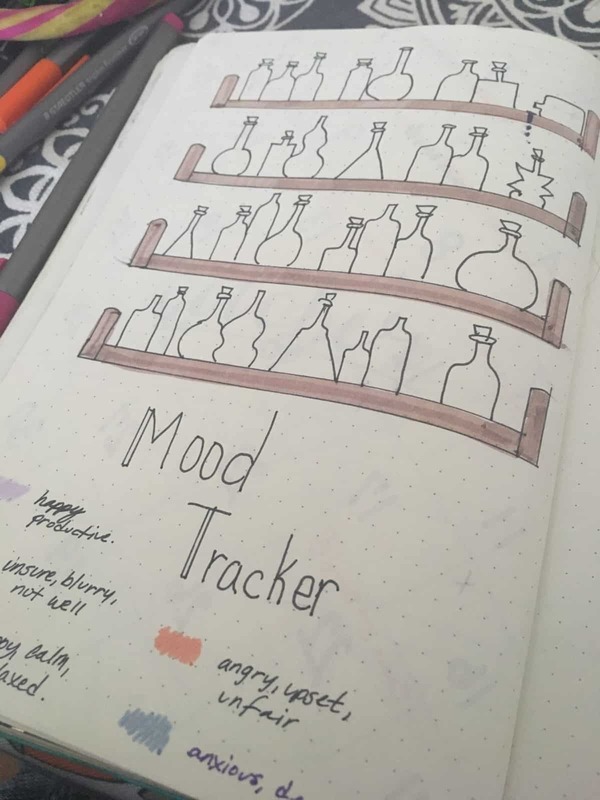 Here’s a clever idea for your October Bullet Journal mood tracker, shelves filled with potion bottles! Because we should never let Halloween go by without a little alchemy! 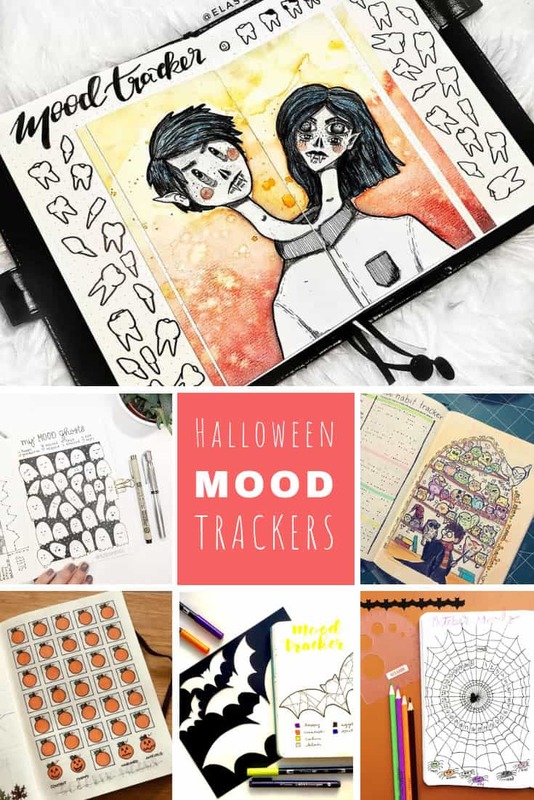 If you love jackolanterns this Halloween mood tracker spread is perfect for you, draw out 31 pumpkins and then each day doodle on the face according to your emotions! 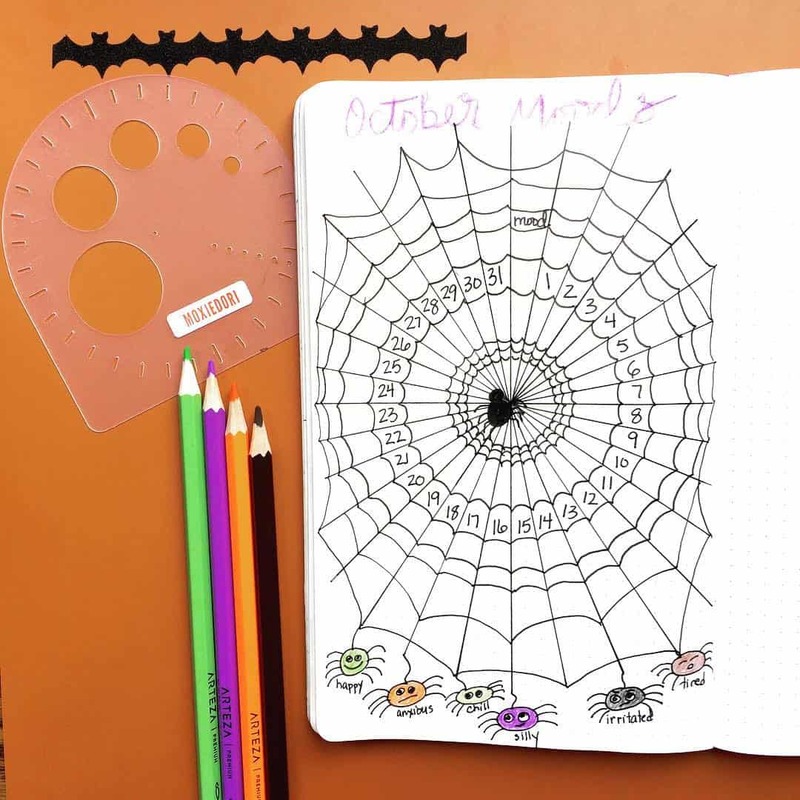 If you think spiders when you think Halloween try this mandala style circle mood tracker that’s actually a spider web! Well we can’t let October pass us by without a little Harry Potter right? 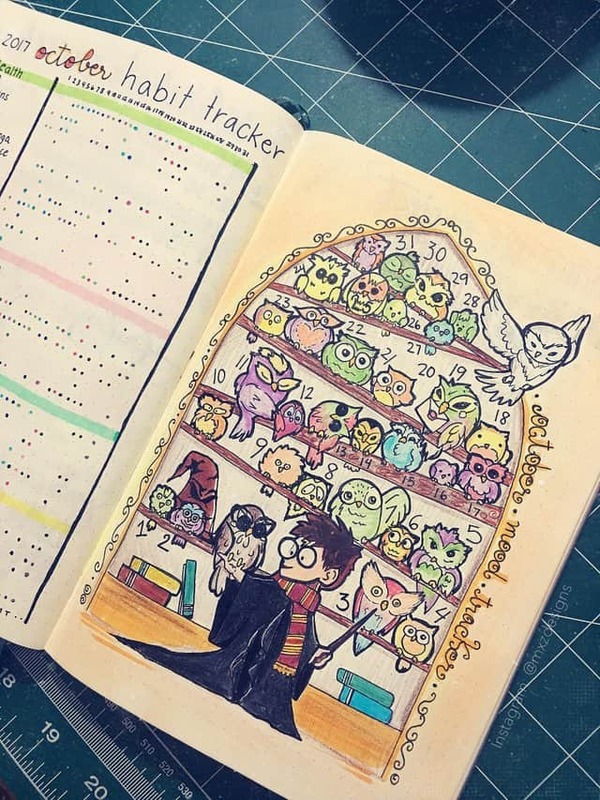 I love this mood tracker spread with Harry in the owlery! Eek bats! Ever since one flew into my bedroom while I was sleeping they’ve given me the heebie jeebies! 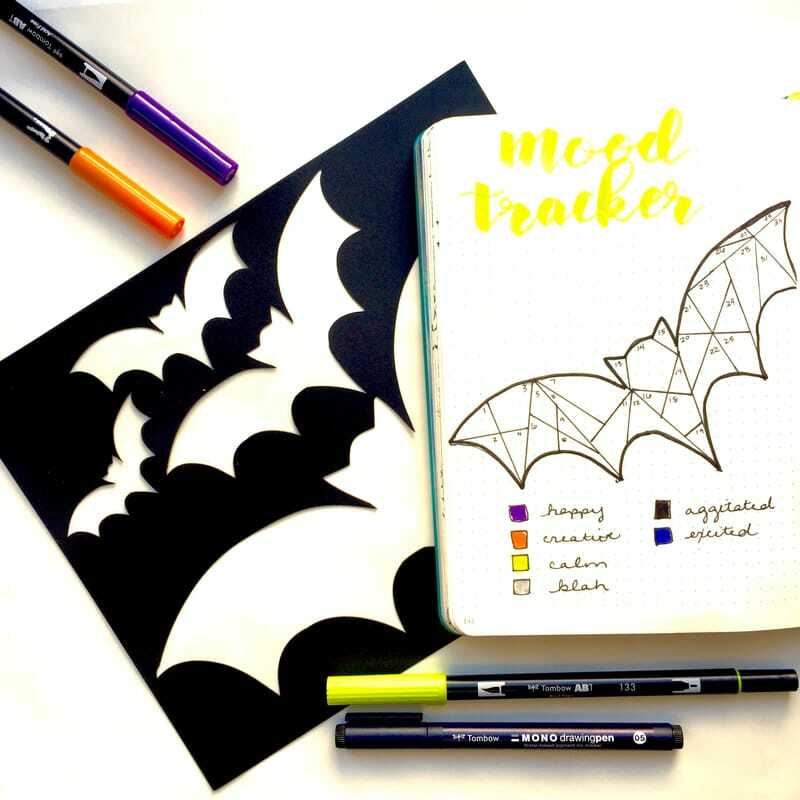 But if bats are your thing go ahead and turn one into a Halloween mood tracker! Let’s get safely back onto totally not spooky pumpkins shall we? 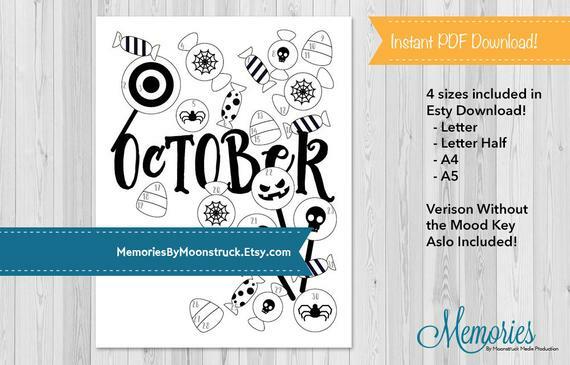 If you love visiting the local pumpkin patch in October you’ll want to check out this cute printable!